The Groovy Delivery Tour is coming your way this May through to August! Ontario, Western Canada, Yukon and Alaska are all part of this falls groovy adventure. If you are dreaming of a Groovy yurt, this is a fabulous time to buy one. Our North American delivery tour and set-up assistance specials make it super easy! 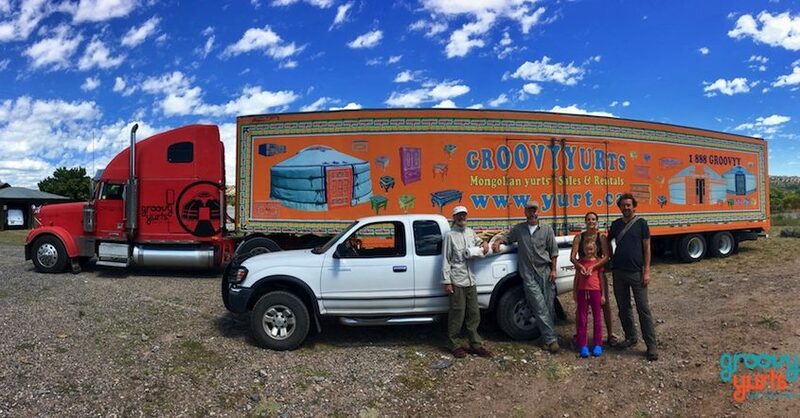 The truck is filling up and space is limited, so please contact us at 1.888.Groovyy (1.888.476.6899) or e-mail to info@groovyyurts.com, if you wish to be on this tour. At GroovyYurts we are nomads too. 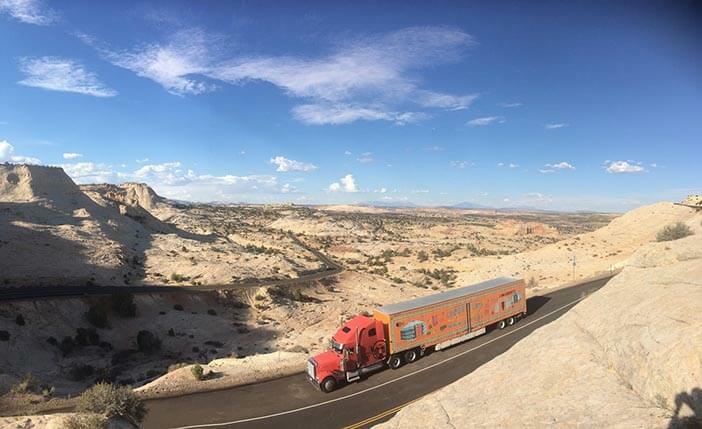 A few times a year we hop on the GroovyTruck and take off on an epic journey across the continent. Door to Door delivery is the essence of what we do! This is our ever famous “DELIVERY TOUR”. This tour is designed to offer unbeatable savings on delivery and shipping fees, significantly reduce carbon emissions by carrying as many yurts as possible, and most importantly to meet you! Depending on the destination, time of the year, and other special offers in place, door-to-door delivery of a 19’ yurt will cost between a range of $699 to $899 (extras might apply for ferry boats, special tolls, for platforms or destination north of the 60th parallel). Check our special offers section, or register on our mailing list to stay informed and up to date. 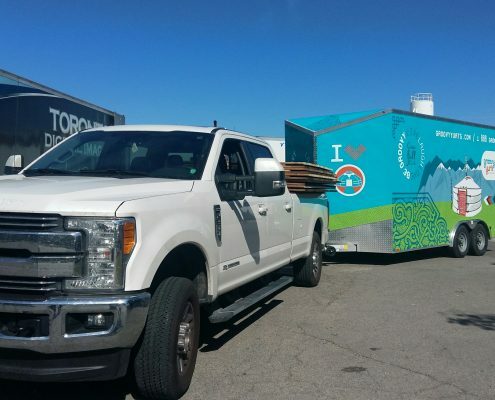 If we deliver your yurt directly, you will be able to take advantage of our set-up assistance specials. Our team will assist and teach you to set-up your yurt, offer you great yurting tips, care, and share Mongolian history and culture. (Some fees do apply) In essence, this is a half day to full day workshop you won’t want to miss! We will make certain you get the most out of your new beautiful dwelling. 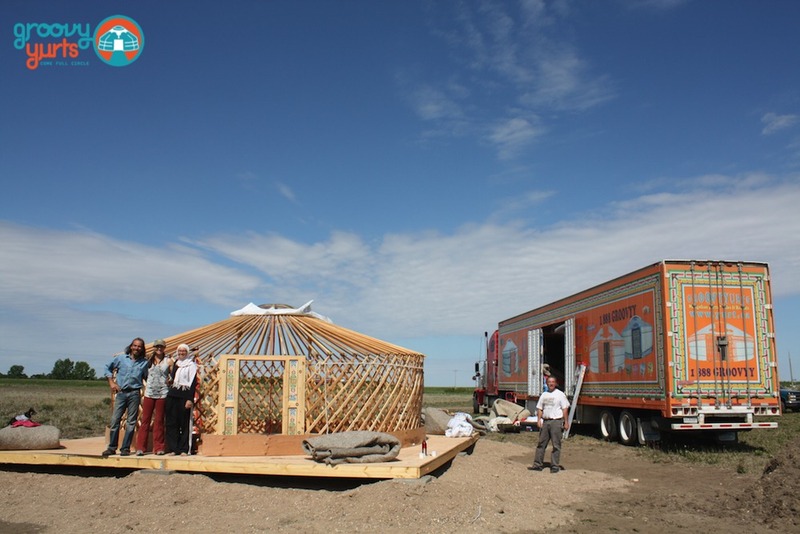 If you are thinking about purchasing a handmade authentic Mongolian yurt, please ask us about our delivery tours. We want to ensure all our customers have access to affordable delivery and set-up assistance. Our main warehouse is located in Alexandria, ON, an hour west of Montreal, QC. We receive regular shipments here from Mongolia throughout the year. We can ship your yurt to you directly by train, or air, on request. Shipping costs are based on weight and location, so fees can be far higher than our Groovy Delivery Tour. Contact us directly for a precise quote. The prices shown here are just a rough indication of what to expect. Yurts of 7-walls (26’) and larger are heavier and cost more to ship. The same can apply to platforms or traditional furniture.